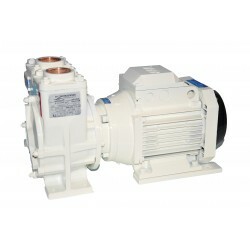 Since 1969 Gianneschi Pumps and Blowers (previously known as G&R up until 2004) have been popular all over the world serving the marine industry from pleasure boats to commercial vessels and military ships between 12-120mts in length. Due to continuous growth & success, it was necessary to renovate and en-large the factory space. The factory was shifted to a covered area of 4000m² fully equipped with automatic tools such as a painting machine and a vertical storage. 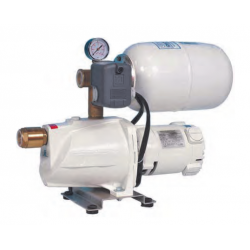 Completely made in Italy the pumps, water pressure systems, blowers, water heaters, engine pumps, compressors and dc/ac motors achieves the highest quality on the market; thanks to the fact that every product is tested before being delivered to the customer. Gianneschi is able to please their clients in every way - assisting them with their requests whether administrative or technical. Gianneschi explores different ways to simplify customer’s life on board by offering the best type of package which would suitable for the application. It could be one product or one of the complete kits which saves time and money for the customer. When a product is purchased from Gianneschi, sales and service points worldwide are available to the customer’s wherever they may be. In 2004 Gianneschi also introduced Gianneschi Service which is able to repair and give assistance on products. 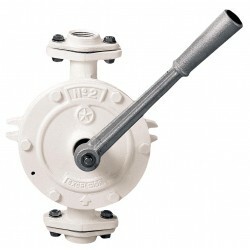 ApplicationsSuitable for pumping aggressive liquids, for fresh&nbsp;or sea water. 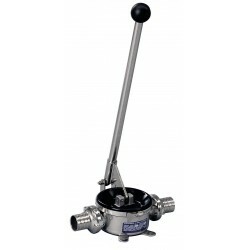 Bilge emptying, tanks, diesel oil&nbsp;intake, oil, etc..&nbsp; MotorsExcelsior: High head double acting semi-rotary&nbsp;wings pump, suitable for lifting and pushing of&nbsp;clear liquids Super-larioSelf priming double acting pistons&nbsp;pump, recommended for high suction&nbsp;lift installation (up to 9 m) also in&nbsp;case of complex plant (not back&nbsp;straight pipe line). JollyLight and cheap pump with a big&nbsp;water delivery at low head. Suitable&nbsp;for dirty liquids. 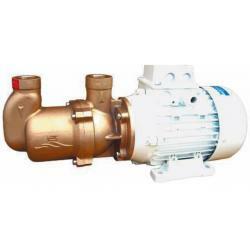 ApplicationsSuitable for pumping aggressive liquids, for fresh&nbsp;or sea water. Bilge emptying, tanks, diesel oil&nbsp;intake, oil, etc.. Construction features GB: Body pump of cast iron, internal parts of&nbsp;bronze B: Body pump and internal parts of bronze MotorsExcelsior: High head double acting semi-rotary&nbsp;wings pump, suitable for lifting and pushing of&nbsp;clear liquids Super-larioSelf priming double acting pistons&nbsp;pump, recommended for high suction&nbsp;lift installation (up to 9 m) also in&nbsp;case of complex plant (not back&nbsp;straight pipe line). JollyLight and cheap pump with a big&nbsp;water delivery at low head. Suitable&nbsp;for dirty liquids. 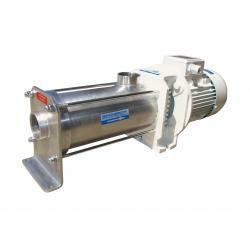 ApplicationsSuitable for pumping aggressive liquids, for fresh or sea water. Bilge emptying, tanks, diesel oil intake, oil, etc.. Construction features&bull;&nbsp; GB: Body pump of cast iron, internal parts of bronze&bull;&nbsp; B: Body pump and internal parts of bronze Motors&nbsp; &nbsp; Excelsior: High head double acting semi-rotary wings pump, suitable for lifting and pushing of clear liquids Super-larioSelf priming double acting pistons pump, recommended for high suction lift installation (up to 9 m) also in case of complex plant (not back straight pipe line). JollyLight and cheap pump with a big water delivery at low head. Suitable for dirty liquids. 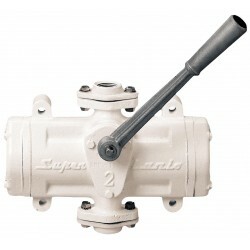 The configuration with 2 or more pumps is&nbsp;realized in order to reach a greater delivery&nbsp;value and/or to have a major safety using a&nbsp;back-up pump. Moreover this configuration&nbsp;allows power division and to realise groups&nbsp;with mixed voltage. 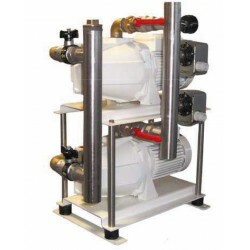 The groups, with&nbsp;pumps working in parallel, are usually&nbsp;assembled on a stainless steel base with&nbsp;rubber vibration damper.The standard configuration is complete with&nbsp;manometer, pressure switch, non returnvalve and hydraulic components. For aproper use the group must be equippedwith at least 20 liters water tank (availablecapacities up to 300 liters). On request thesystem can be provided with a control panel ApplicationsPressurized fresh water distribution on vessels,&nbsp;galleys, showers, washbasins, water heaters etc Motors&bull; Insulation :&ldquo;F&rdquo; class&bull; Protections :&nbsp;&ldquo;IP 22&rdquo; dc - &ldquo;IP 54&rdquo; ac&bull; Voltages :&nbsp;12V, 24V; 1Ph 230V, 3Ph&nbsp;230/400V 50Hz Performance in accordance with EN ISO 9906. 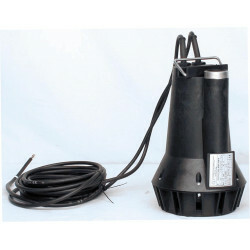 *Tolerance related to spring preload &plusmn; 10%&nbsp;# Product also available in 12V. 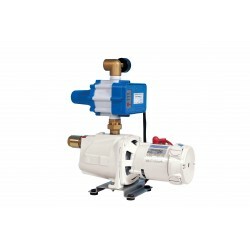 Electronic water pressure system ECOJET C.E. 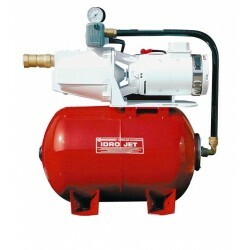 Electronic water pressure system JET C.E. Device for automatic control and protection&nbsp;of electric pump for pressurized fresh water&nbsp;distribution, supplied with delivery and&nbsp;pressure sensors controlled by circuit board,&nbsp;offers the following advantages:&bull; Possibility to realize mixed voltages&nbsp;groups (e.g. 24V dc + 230V 1ph. 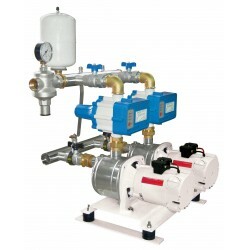 ac )&bull; Reduction of &ldquo;start up and shut off&rdquo;&nbsp;cycles and consequently wear reduction&bull; Reduced overall dimensions&bull; Protection against dry-running&bull; It allows to keep constant the pressure&nbsp;at set-point value during the water&nbsp;distribution&bull; Pump state display&bull; Automatic restarting (once voltage&nbsp;returns)&bull; High performances and reduced&nbsp;absorption&bull; Two restart pressure levels (1.5 &ndash; 2.2 bar)&bull; Preset and tested system does not need of&nbsp;any regulation during the installation. Thestandard version of the group is suppliedwith 2 liters water tank, for a better useGianneschi suggest to install at least a20 liters membrane water tank. Availableon request control box for three-phasesgroups, please contact Exalto Emirates. ApplicationsPressurized fresh water distribution on vessels.&nbsp;Galleys, showers, washbasin, water heaters etc&nbsp; Motors Insulation :&nbsp;&ldquo;F&rdquo; class Protections :&nbsp;IP54 ac - IP22 D.C Voltages :&nbsp;12V; 24V; 1Ph 230V;&nbsp;3Ph 230/400V; 50Hz. 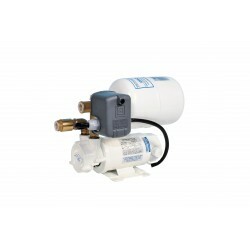 Electronic water pressure system ECOINOX C.E.